Enterprise Ireland is the government agency responsible for supporting Irish businesses in the manufacturing and internationally traded services sectors. Enterprise Ireland partners with entrepreneurs, Irish businesses, and the research and investment communities to develop Ireland’s international trade, innovation, leadership and competitiveness. [Source: www.enterprise-ireland.com]. Considering the high frequency of meetings and daily correspondence with multiple parties, the availability of professional quality, reliable presentation and communications systems is crucial for operations. Image Supply Systems has provided AV supply, installation and support services for Enterprise Ireland offices in Dublin and Shannon since 2003. Services provided include upgrade of equipment and room refurbishment in the East Point Office (over 30 conference, meeting and training rooms and control room in 3 buildings) and Shannon Office (6 meeting and training rooms and reception), in addition to contractual support and maintenance services. These offices accommodate high levels of AV facility usage in meetings and presentations. AV systems must be robust, reliable, user-friendly and future proofed to successfully cater for staff and visitors. Equipment we have installed includes professional quality LCD displays, projection systems, fully integrated room control, audio systems and digital signage. An effective and efficient support service is also provided to ensure consistent availability of AV facilities. We also provide AV consultation, assisting with the planning of AV infrastructure development. 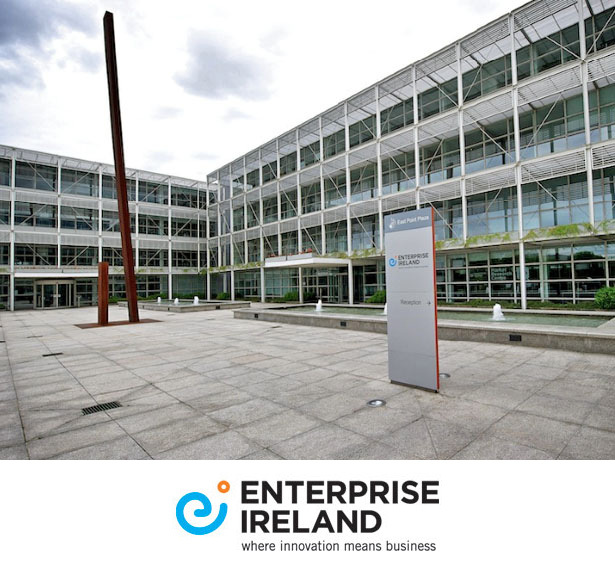 Frequent meetings are held with Enterprise Ireland to monitor discuss latest user needs, AV system performance, and to provide notification of new technologies that would benefit operations.